Dad, if you plan on being in line with the millions of other men across the country who will have waited until the last minute to get their Christmas gifts, then you’re going to want to keep reading. Why? Because I have a Christmas gift idea for you that your daughter will love! Do you want to know what it is? WRITING A LETTER. One of the greatest presents you can give your daughter is to affirm her through writing. 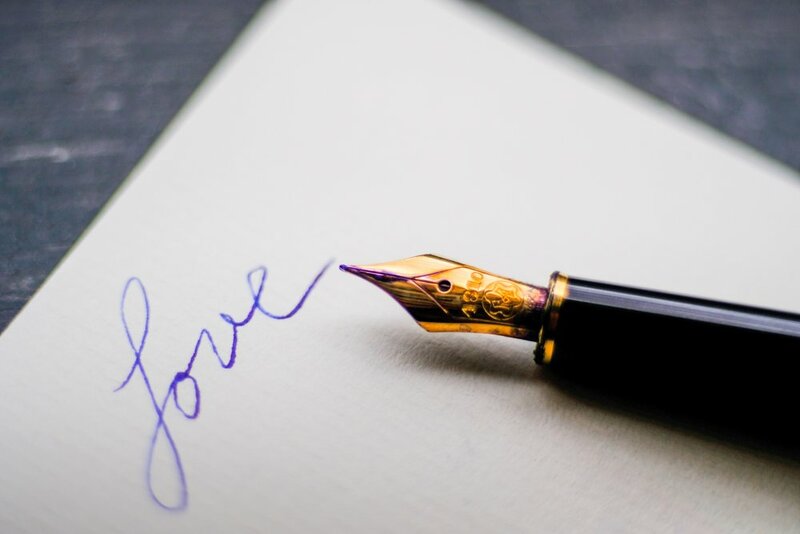 In a world where written communication is increasingly digital (texts, emails, tweets), a letter scripted in your own handwriting is sure to stand out as unique. Let me share a story with you that highlights my suggestion. In the summer of 2016 I had the privilege of attending FishFest in Salem, Oregon. What made it extra special was that it was my first public appearance with KPDQ, the station that hosts my radio program, The Dad Whisperer. It was a day I’ll never forget, due in part to the 104 degree weather, but also because it was meaningful to be a part of connecting with people while being entrusted with their stories. I also gave away copies of my book, which was a fun way to share them as a resource with our listeners. I encouraged him to write letters to his daughter periodically, adding that when a dad writes something in his own handwriting, it stands out from technology. I acknowledge that I may have misread his body language, but I got the sense that I’d said enough. So we smiled and said goodbye. An hour or so later, a beautiful woman in her late 50’s came to pick up her copy of my book since she was another winner. She told me that she even though she had two sons she was looking forward to reading it, promising to give it away, when finished, to a dad of a daughter who could use it. It was then that I took a risk by asking a question in the hope of opening up a “deeper conversation.” I decided to inquire about her relationship with her dad. She readily shared that her father was a quiet man, clarifying that they didn’t have much of a relationship because he worked a lot. Then her tone changed and she broke into a beaming smile while telling me one specific memory. I immediately told her that I knew just the man who needed to hear her story. She graciously gave me permission to share about her treasured letters with this other father who I believed would benefit from hearing a personal story about the importance of a dad’s written words to his daughter. I later found him and we talked a bit more. Suffice it to say, this woman’s story bears repeating in that it serves as a powerful lesson to fathers of daughters. Dad, put your words of affirmation, acceptance, kindness, belief, encouragement, promise, and praise into writing because your daughter will treasure what you say to her for a lifetime. Now let me reveal one more reason why a letter from you will have significant impact. It’s due to the fact that I have saved every single card my dad has ever made me…and I have a lot of them! I count them among my most valued possessions. The time you spend now putting your thoughts, feelings, wishes, hopes, and dreams into written form will pay dividends long after you’re gone as she reads and rereads your words. Whether you’re a dad who has already begun this practice or you are a tentative newbie, I want to share a few ideas to support your pen-to-paper challenge. What is one of the first things you remember about her from when she was born and you looked at her for the first time? Write about a favorite childhood memory you have of her. What strengths do you believe she has, both in terms of skill and in her person (her character, personality)? Tell her specific reasons you’re proud of her. Write about what obstacles you have seen her overcome—emphasize such qualities as courage, resilience, strength, commitment, endurance, and power. Write about dreams you have for her future, whether in the form of your wishes for her or things you pray about for her—do this without preaching or lecturing, only encourage. Tell her what it means to you to spend time with her. Communicate why you love being her dad in this season of her life (add current things about her age right now that you’re aware of and highlight them as positive). Let her know that you will always be there for her, telling her what it means to you to be her dad. Dad, why not take the time right now to put your love for your daughter in writing. And as you give her the gift of a letter from you this Christmas, I guarantee that it will be one of her favorite gifts…EVER!